All my life I have loved fashion. This does not mean shopping. Having to go out and find a dress for a particular occasion, or even far worse, idly trawling round clothes shops in the centre of London is not my idea of fun. However, having a tightly curated core wardrobe of beautiful clothes which gets gently and carefully added to, or discarded from, each year, is a great source of pleasure. Fashion trends take you on a journey, and it is important to choose the right vehicle for you. 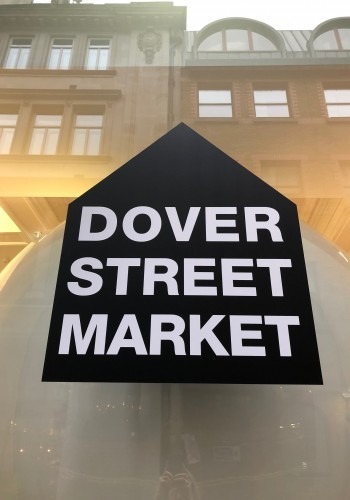 For the last 35 years mine has been Comme des Garcons, for the most part in London located within its Dover Street Market store currently in the Haymarket. And a couple of other brands which talk the same language. I believe in buying carefully, often thinking about even a shirt for days, to make sure it does not ever hang in the wardrobe unworn. Once there every item needs to earn its keep, and to uplift existing items. Comme does not follow trends, the collections being painfully wrested out of its secretive designer owner Rei Kawakubo each season. To some people, the results on the catwalk can often appear outlandish and unwearable. But for the longstanding staff and customers they are the inspiration that continually pushes the boundaries of what eventually arrives on the rails. Huge attention is paid to the construction and fabric of each garment, which ensures its originality and longevity. I have only just parted with my first C de G dress of 35 years ago which sadly some moths became partial to. Because we’ve all been on this long journey together, it feels like being part of a family. Adrian Joffe, the CEO and husband of Rei Kawakubo, recognises the importance of this. Although the business is hugely successful commercially, making a quick buck is clearly not the priority. Creativity reigns supreme, and artistic individuals are recruited for the shop floor. Some stay for many years. 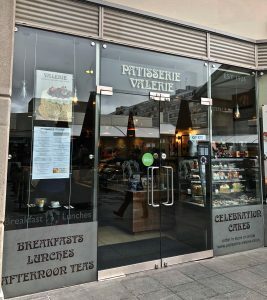 Department stores need cafés, and Adrian did not have to look further than his sister Rose Carrarini who with her husband Jean-Charles had set up an English restaurant/bakery in the centre of Paris in 2002. The consistency, simple honesty and high quality of Rose’s food is the ideal partner for Dover Street Market. Now, wherever there is a new store, a Rose Bakery is incorporated. The brand now exists in Tokyo, Seoul, Paris, London, New York and the latest DSM in Los Angeles. The best businesses earn their success through having a unique vision, being continually refreshed and exciting their audience. It would not be possible without taking their staff and customers along with them on their creative journey. When Rose once asked her sister-in-law Rei if she would like her to develop a range of cakes decorated with spots, to reflect the prevailing fabric in the collection, the suggestion was received with horror. Partnerships are often best as a combination of contrasts, and this is what works here.